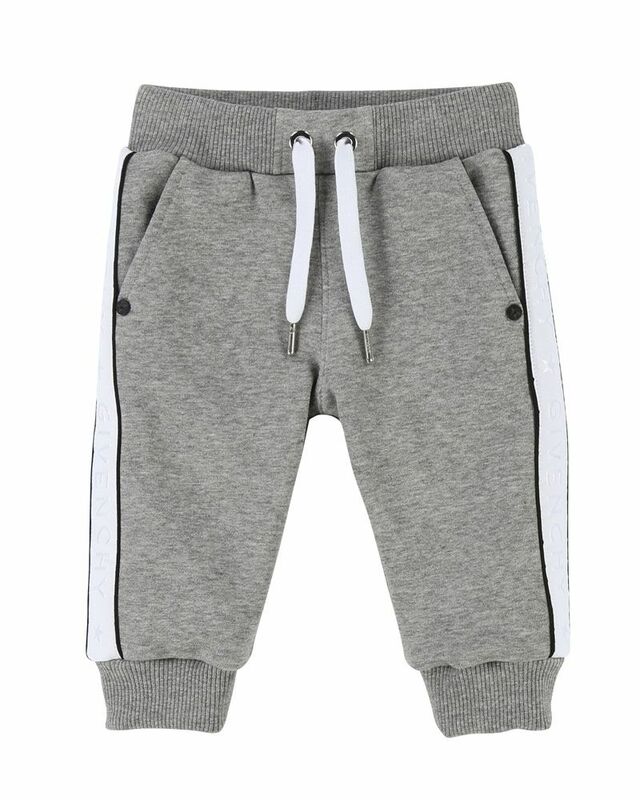 GIvenchy soft grey brushed cotton joggers with elasticated waist, drawstring ties and logo print detailing down the leg. 86% Cotton, 14% Polyester. Imported.